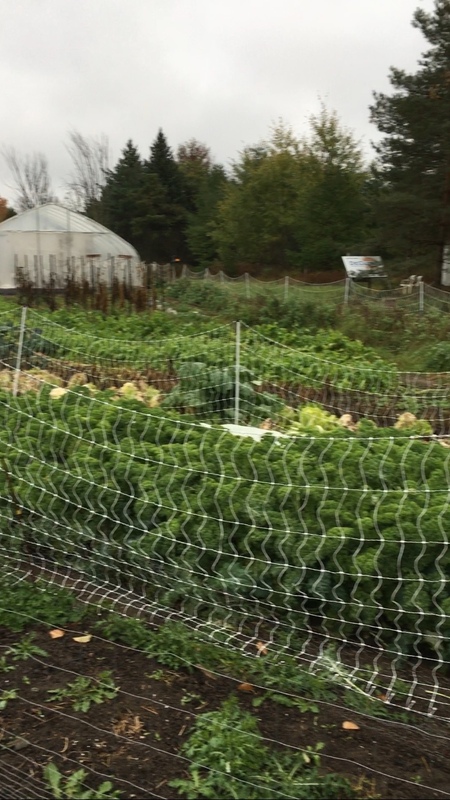 On Wednesday, November 23rd, we had our second successful visit of the year! 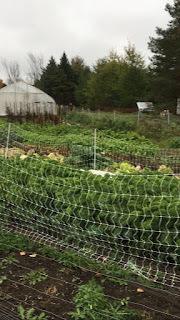 Waking up to a cold rainy day is not the best way to start an outdoor garden adventure, however we had planned how to make the trip as wonderful as possible despite the weather. Fortunately, we had managed the visitor's expectations, and everyone arrived prepared with warm clothes, boots and umbrellas. We started the visit in the gardens doing a tour of the area as Martha Gaye explained the whole operation. The kids got to pick their own kale to use later as well! 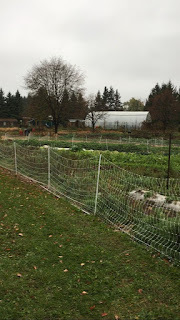 The rain held off for us so everyone got to experience the outdoor part of the visit. We ended up cutting the garden tour in half in order to get the students in from the cold. 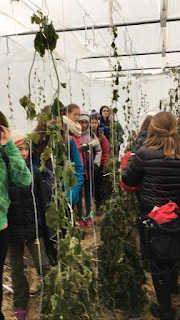 In place of the extra garden time, we took the students to a classroom where they engaged in an impressively in-depth discussion about organics, farming, and GMOs. 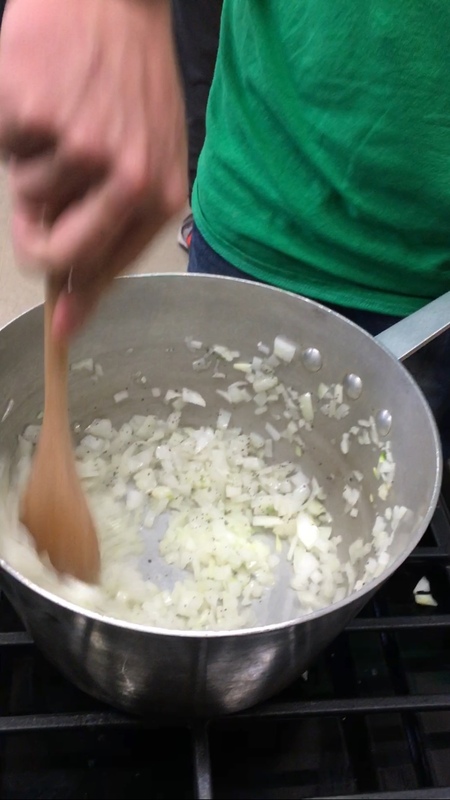 We were taken back by their appetite to learn about food and willingness to act. Wrapping up the discussion brought us to the best part of the day; the cooking! We made a butternut squash and carrot soup, and kale chips. Both dishes used almost entirely ingredients from Martha's organic garden. The best part was that this actually excited the kids, and allowed them to see the direct transition from the earth to their mouths. This hands-on process from picking, to discussing, to cooking was an incredibly rewarding experience seeing as the kids were so receptive to the process.